Jason Sea Kelp Smoothing Conditioner is a rich formula designed to hydrate dry hair with an all-natural blend of Sea Kelp, vitamins and minerals– a super moisturising conditioner that tames frizz without weighing the hair down and keeps hair smooth and shiny all day. Jason’s never test on animals and are committed to using the best natural ingredients. Aqua (Water), Helianthus Annuus (Sunflower) Seed Oil, Behentrimonium Chloride, Cetyl Alcohol, Stearyl Alcohol, Aleurites Moluccana Seed Oil, Algae Extract, Aloe Barbadensis Leaf Juice*, Calendula Officinalis Flower Extract*, Chamomilla Recutita (Matricaria) Flower Extract*, Citrus Grandis (Grapefruit) Seed Extract*, Equisetum Arvense Leaf Extract*, Lavandula Angustifolia (Lavender) Flower/Leaf/Stem Extract*, Orchis Mascula Flower Extract, Panax Ginseng Root Extract, Plumeria Acutifolia Flower Extract, Zingiber Officinale (Ginger) Root Extract, Amodimethicone, Ascorbic Acid, Citric Acid, Glycerin, Guar Hydroxypropyltrimonium Chloride, Hydrolyzed Soy Protein, Linoleic Acid, Linolenic Acid, Panthenol, Retinyl Palmitate, Sodium Phytate, Tocopherol, Tocopheryl Acetate, Alcohol*, Ethylhexylglycerin, Phenoxyethanol, Potassium Sorbate, Sodium Benzoate, Benzyl Alcohol, Benzyl Benzoate, Coumarin, Fragrance (Parfum)*Certified Organic Ingredient. 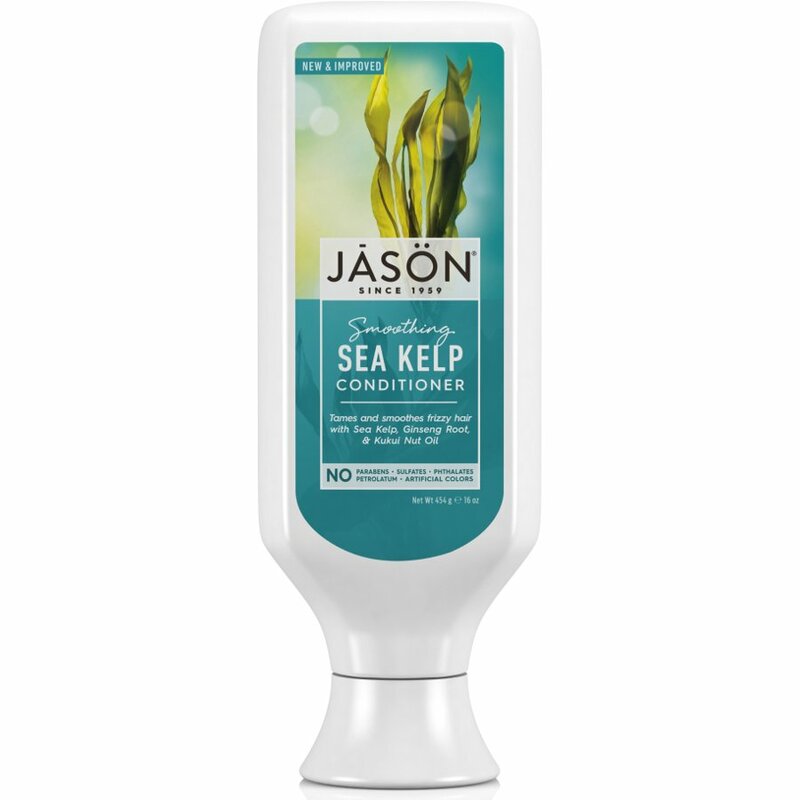 There are currently no questions to display about Jason Sea Kelp Conditioner - Smoothing - 454g.